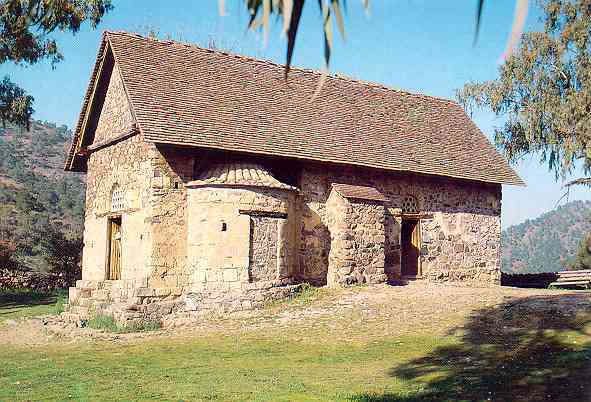 Early 12th century church, dedicated to the Virgin Mary, with frescoes of the 12th century and later periods. 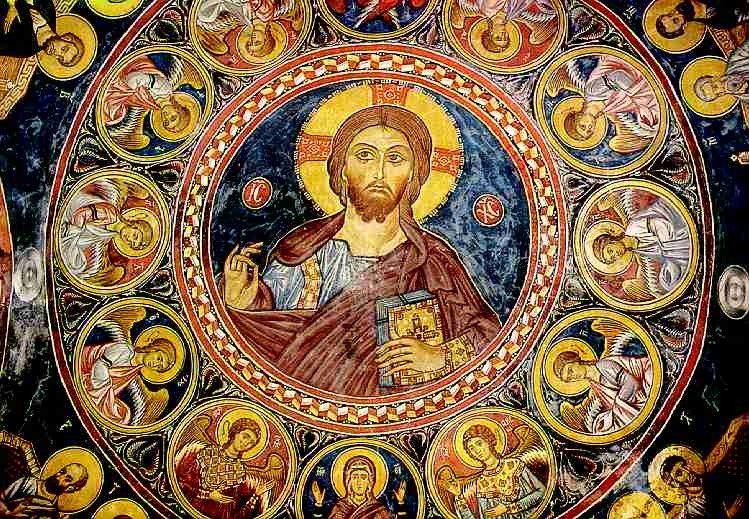 It is considered to be among the finest examples of Byzantine mural painting on the island. 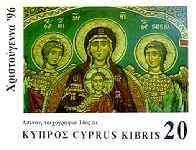 The stamps above show 14th century wall paintings from the church of Asinou. Between April 1997 and January 1998, we conducted an air quality monitoring program to measure indoor and outdoor particulate matter samples each season. Church art, museum collections, and artifacts in general are threatened by air pollution, and particles soil artifacts in interiors as well as exterior building facades. In addition, depending on the chemistry, the airborne grime can significantly hasten the deterioration of many materials. Measurements of outdoor airborne pollutant concentrations in the Cyprus atmosphere were scarce, and corresponding indoor levels are essentially unknown. These airborne pollutants can be important agents of decay of materials typically displayed indoors. Average coarse particle concentrations outside the church were 28.1 µg m-3 while outdoor fine particle concentrations averaged 16.4 µg m-3. Indoor average concentrations were 17.3 µg m-3 and 16.9 µg m-3 for coarse and fine particles, respectively. Particle deposition onto interior vertical surfaces over a nine-month period caused color changes that would be perceptible by a human observer (maximum color change ΔE=1.87). At these rates, the optical qualities of the frescoes will be clearly degraded over a period of five years. The installation of a mechanical air filtration system could reduce particle concentrations inside the church to less than 3% of uncontrolled levels.